Of course Nicky Henderson is no stranger to success, but Brain Power was back on the winning trail having made the switch back to Hurdles. Twelve months ago, it looked very promising for the 7yo gelding, who bolted up on his debut over fences by as many as 28 lengths at Kempton. However, since then he has struggled with falls and unseats galore, and the Champion Trainer believed reverting back to the smaller obstacles should bring about his best. That it certainly did, and coming up against some top hurdlers, he landed the International Hurdle at 7/1 beating Silver Streak and Western Ryder. A Champion Hurdle campaign now beckons, to lay it down to stable companion Buveur D'Air. Tom George is enjoying a smart start for the season, in particular with his McNeill family recruits, and The Worlds End sent his rivals into submission with a stunning display of jumping in the Neville Lumb Novices Chase. A beaten favourite here last time behind Ibis Du Rheu, having scored on debut over fences at Chepstow, he took full advantage this time with a difference of weights. The 7yo was far better than his result suggested last time and the disappointment was a bit of an unknown, but on his return to Prestbury Park for another crack, he was immaculate in all departments to draw clear from his opposition and won by 25 lengths. Under top weight, Frodon with literally ' a touch from Bryony Frost' landed the big handicap at Cheltenham - the Caspian Caviar Gold Cup. 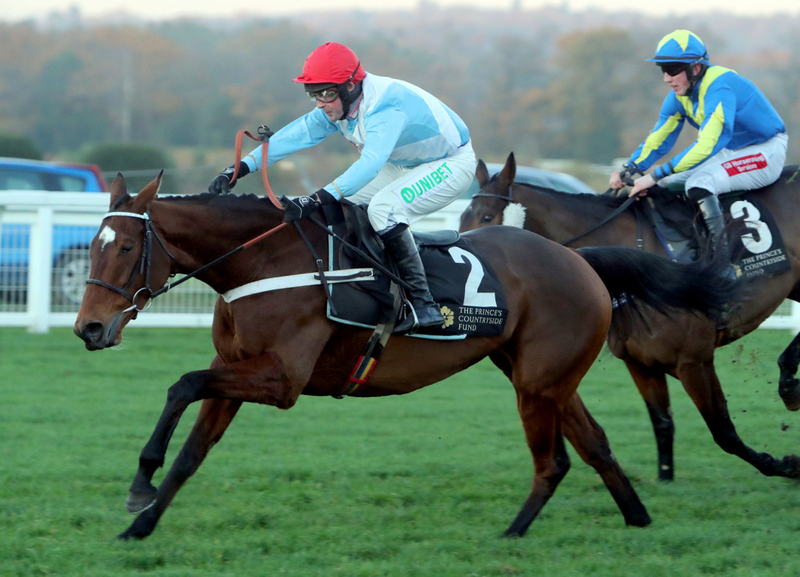 Always jumping and travelling well, he powered up the Cheltenham hill very gamely, and was chased all the way by Venetia Williams' Cepage - with the two drawing well clear of the remainder. The 7yo kept on digging and kept on finding, and provided yet another big race win for Bryony Frost and Paul Nicholls, in what looked a favourable win amongst the punters.